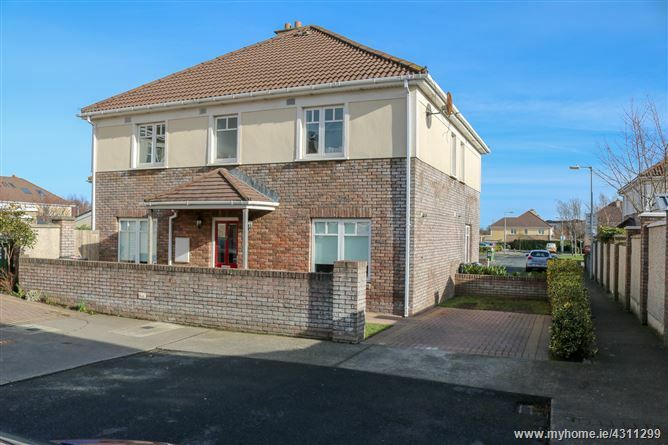 McGovern Estates is delighted to showcase 269 Charlesland Wood. 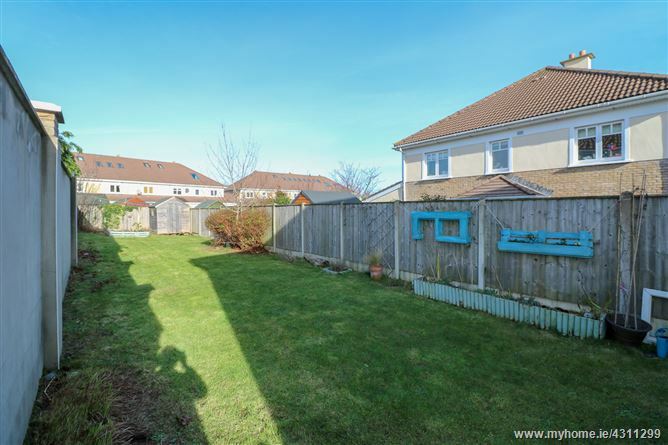 This 3 bedroom semi-detached family home is well presented throughout and benefits from an exceptionally large rear garden which can be accessed from the living room or via the side access. The attic is also suitable for conversion should any discerning purchaser require the additional space. Internal viewing is highly recommended. 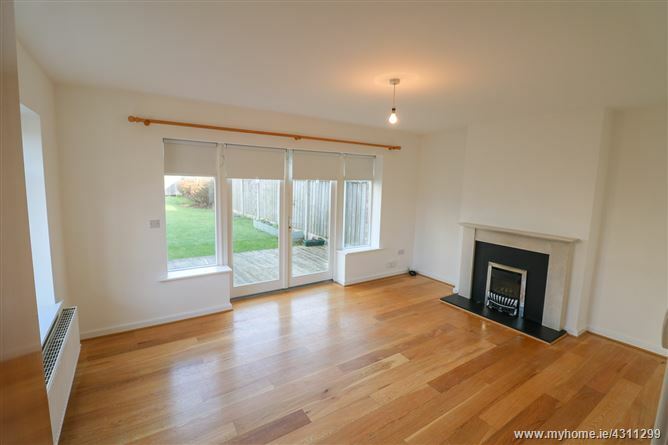 This three bedroom home extends to 90m2 (970 sq.ft.) 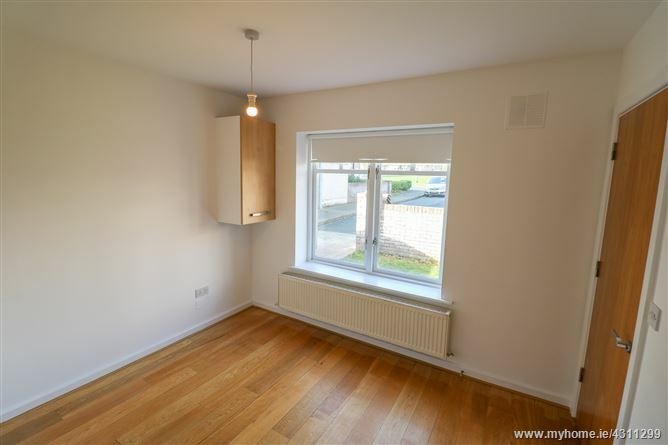 briefly comprises a kitchen/ dining room, living room, a downstairs WC, 3 bedrooms with master ensuite and a family bathroom. 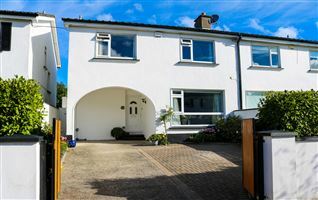 The property is located at the end of a quiet cul de sac and Charlesland shopping centre is also just a minutes walk away. No. 269 is located in the beautifully mature development of Charlesland and is located within close proximity to a wide range of amenities. 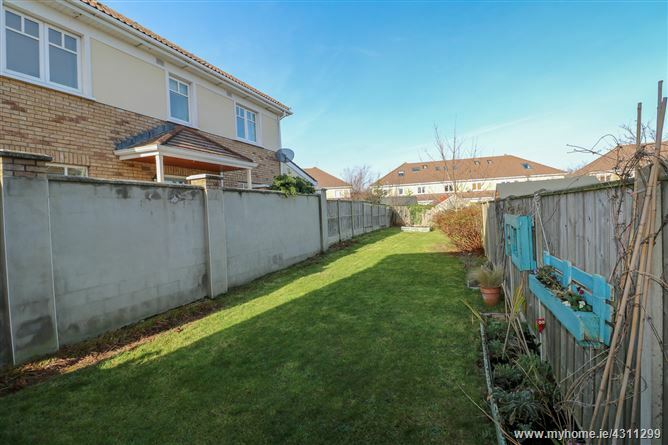 It is located towards the end of a quiet cul de sac and is close by to a large amenity green. Entrance Hallway - Solid wood flooring. Carpeted stairs to landing. Understair storage. Living Room - Solid wood flooring. Feature gas fire place with solid wood mantle and polished black surround and hearth. Bespoke shelving to each side of the fireplace. 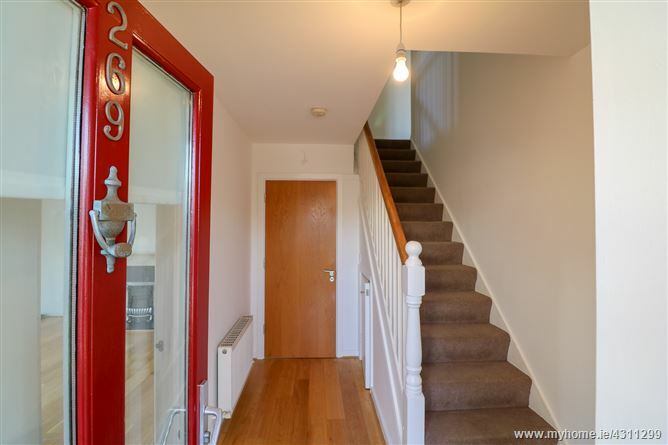 Access to large rear garden. Kitchen - Tiled flooring. 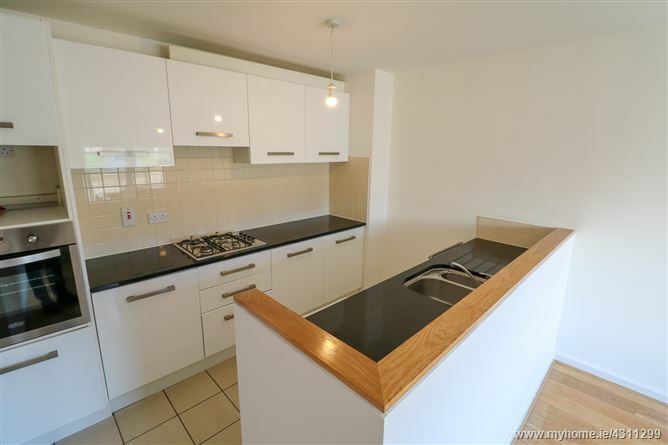 Fully fitted kitchen with ample wall and floor based storage cupboards. Polished black granite countertop space with splashbacks. Fully integrated kitchen. 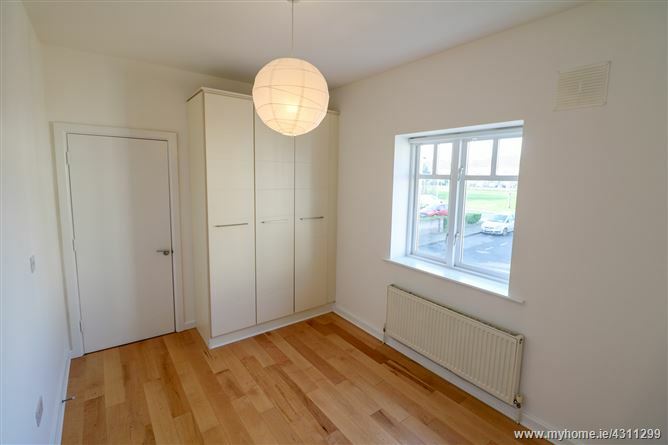 Dining Area - Solid wood flooring. Window overlooking front garden. Downstairs WC - Tiled flooring. Pedestal wash hand basin with tiled splashback and wall mirror over. Landing - Carpeted. Stira stairs to attic. Smoke alarm. Hot press off. Bedroom 1 - Solid wood flooring. Floor to ceiling built-in wardrobes. Window overlooking front garden. Ensuite - Tiled flooring. Pedestal wash hand basin. WC. Fully tiled shower unit with power shower. 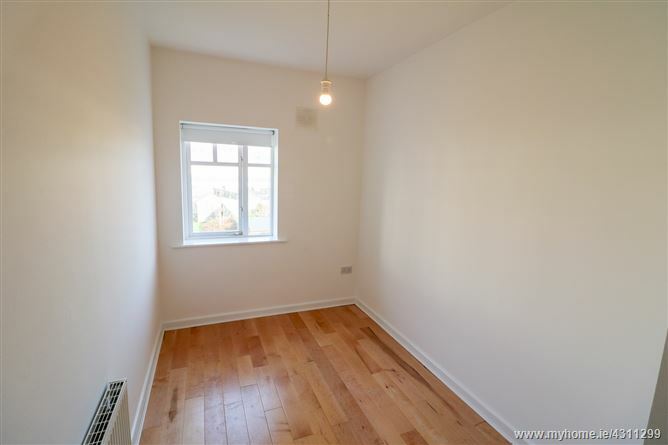 Bedroom 2 - Solid wood flooring. Floor to ceiling built-in wardrobes. Window overlooking front garden. 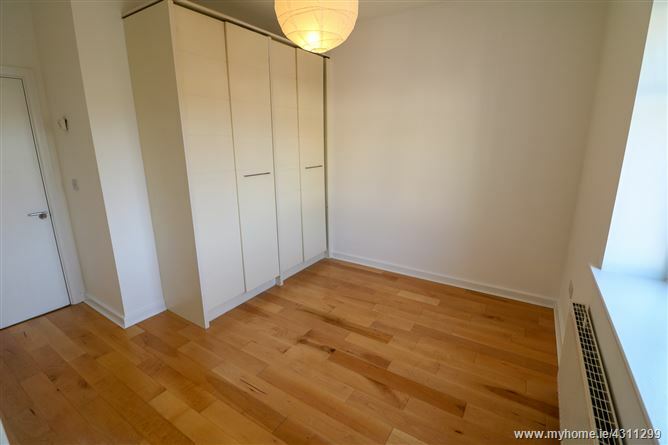 Bedroom 3 - Solid wood flooring. Window overlooking rear garden. Family Bathroom - Tiled flooring. Pedestal wash hand basin with wall mirror over. WC. 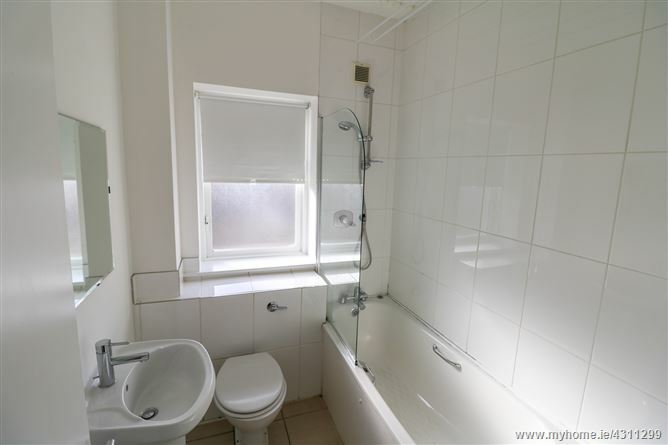 Fully tiled bath unit with shower. 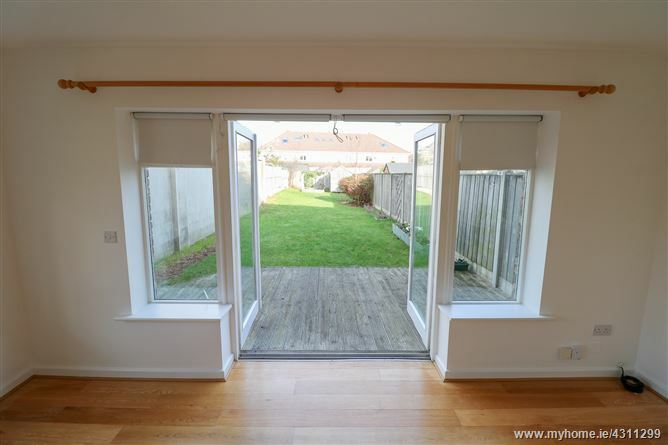 Outside Rear - This exceptionally large rear garden can be accessed via French doors from the living area or alternatively via a side access. This garden is mainly laid in lawn with a patio area and outside light. These areas are bordered by a number of flowerbeds. A timber framed garden shed also features. 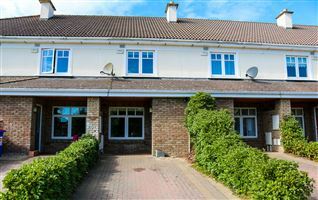 Outside Front - The front of this property is accessed via a cobblelock driveway providing off street parking. This driveway is bordered by a lawn area and flowerbeds. After going through Greystones town, continue on until you get to a large roundabout and turn left into Charlesland. Go through 2 more roundabouts and take the next turn right. At the next roundabout take the 3rd exit. 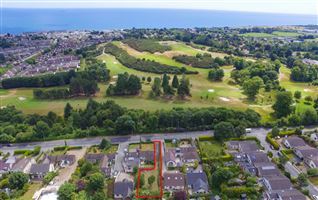 Take the second right in to Charlesland Wood and proceed down the road with the amenity green to your left and No. 269 will be located on your right hand side at the end of the cul de sac identified by the McGovern Estates ‘For Sale’ sign.